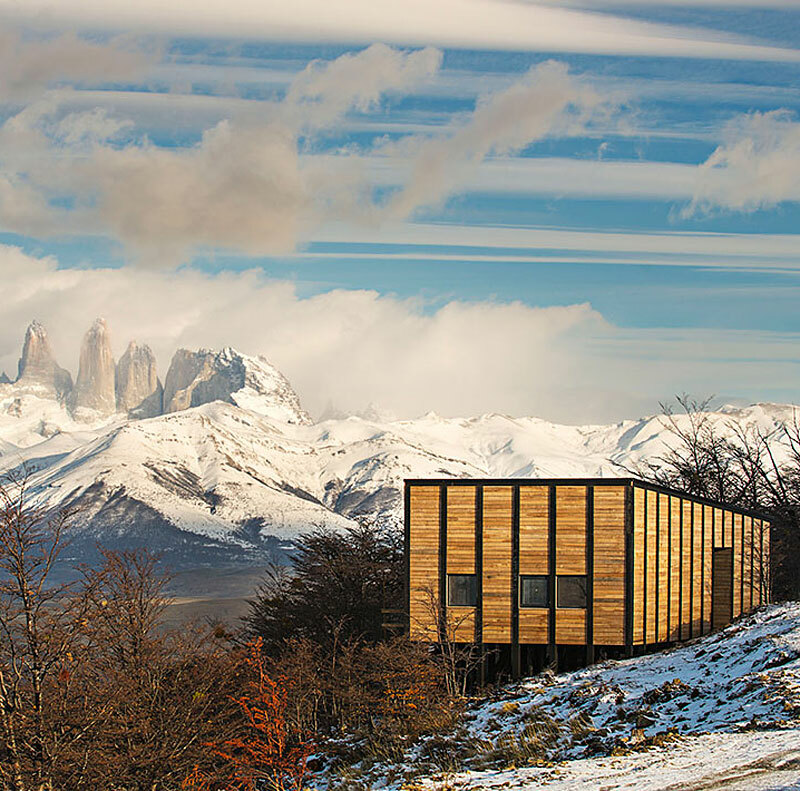 If you’re after dramatic landscapes, they don’t come much more awe-inspiring than the soaring mountains, open plains and glassy lakes of Chile. 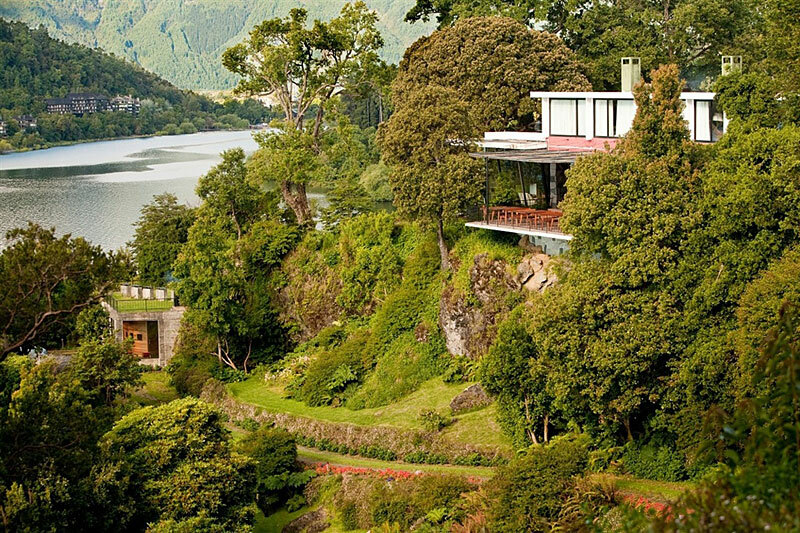 Such a superior wilderness calls for superior design and Chilean architects have risen to the challenge with gusto, creating striking structures that do justice to the country’s spectacular panoramas, culture and history. 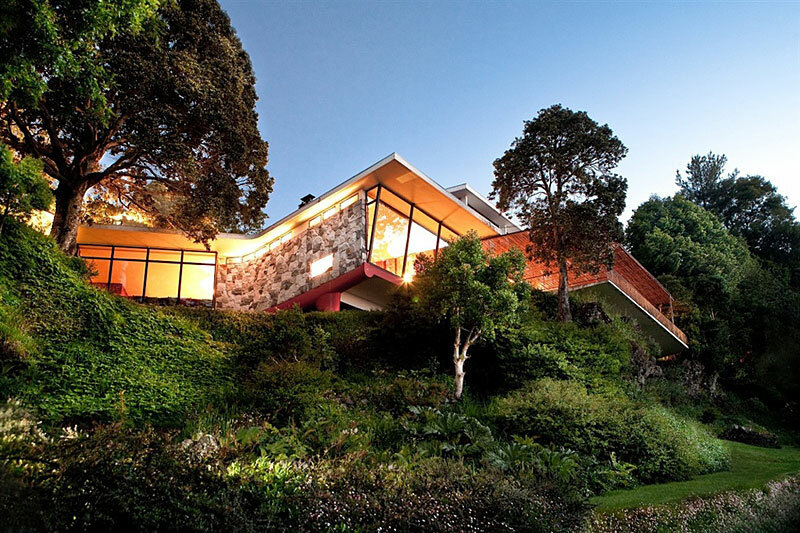 We take a look at some stand-out examples. 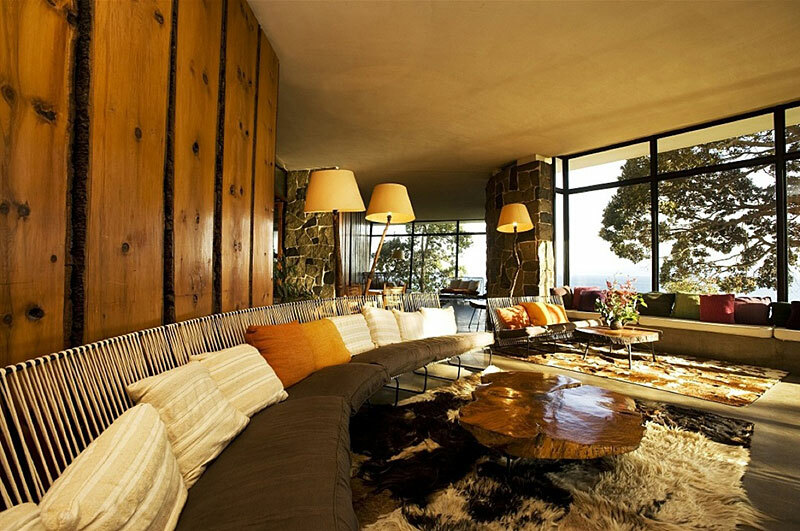 Established in the early 20th-century Germany by pioneering architect Walter Gropius, the Bauhaus movement was known for stripping away decoration and emphasising the clean lines of functionality. 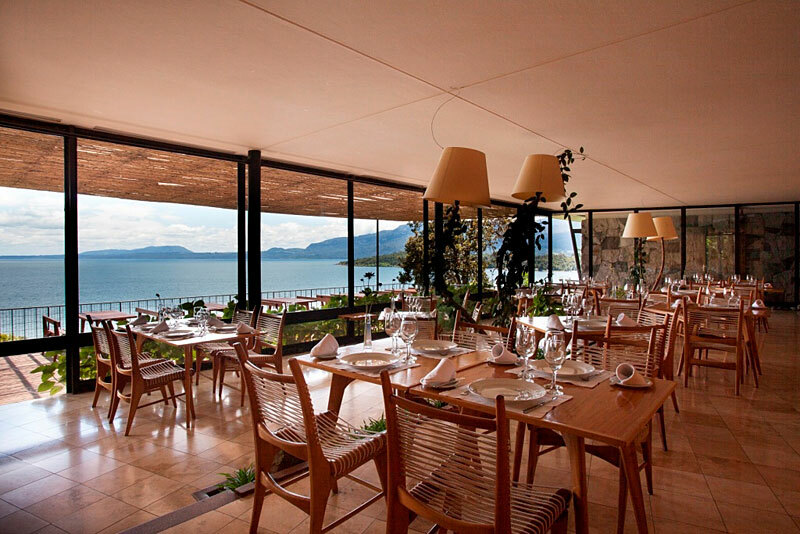 By the 1940s its influence had reached Chile, where architect Jorge Elton worked with hoteliers Guillermo and Catalina Pollak to transform an arid lakeside plot into a beacon of Bauhaus design. 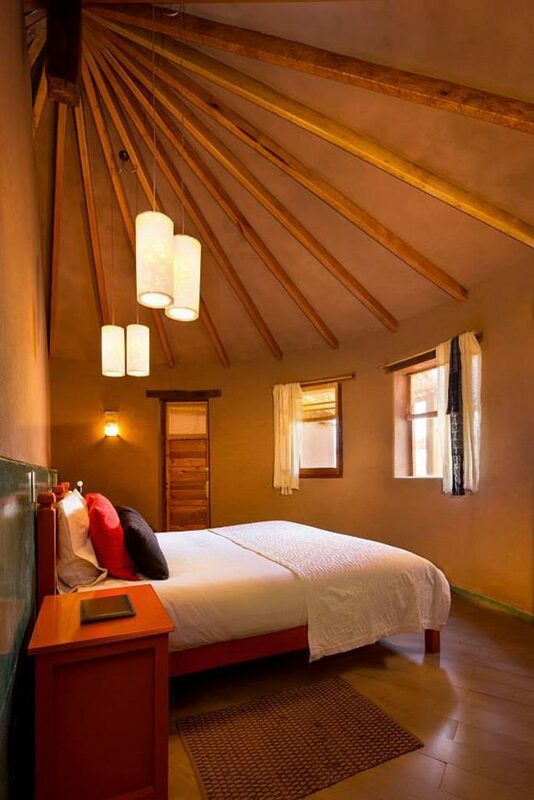 Hotel Antumalal’s angular panoramic windows open the cliff-side rooms up to the water beyond; inside, the use of concrete, iron and open fireplaces creates an industrial aesthetic softened only by natural woollen furnishings, animal-skin throws and native wood pieces. 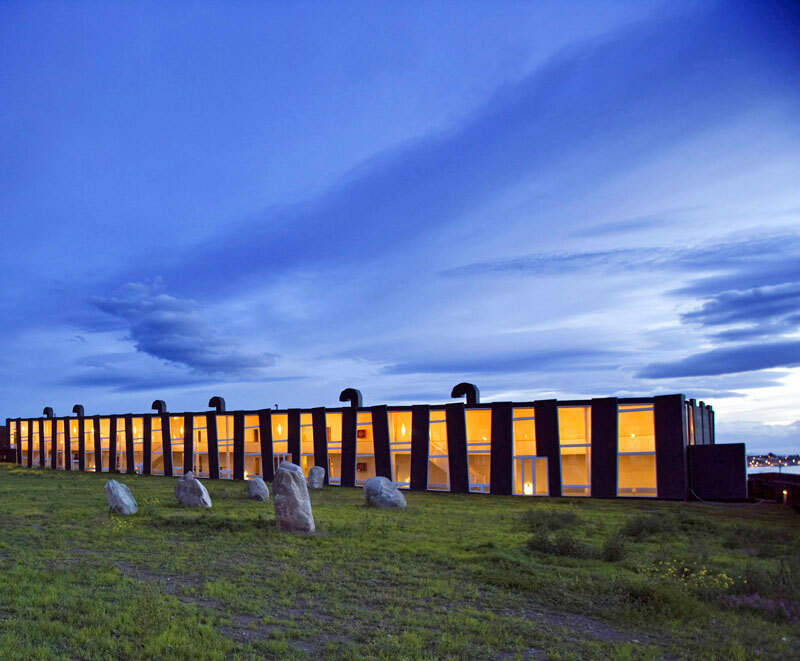 Designed by Chilean architect Felipe Assadi and located in the former campground of 19th-century adventurer Florence Dixie, Awasi Patagonia is spread out like a classic estancia. 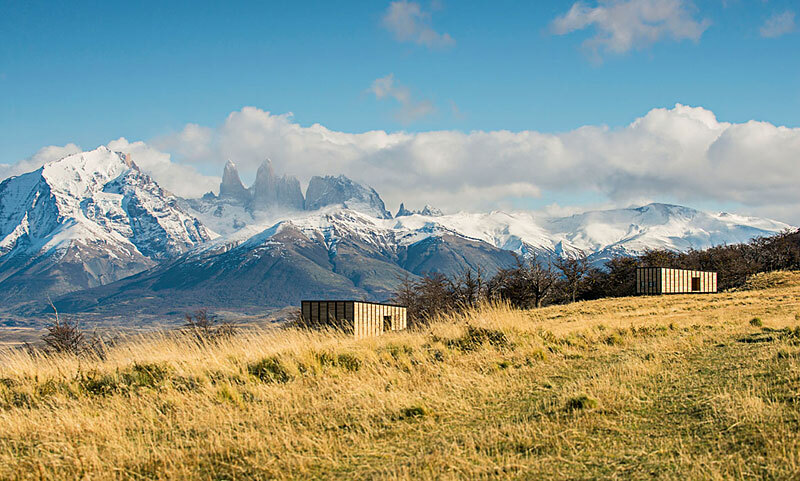 Its 12 villas pay homage to Patagonia’s traditional shelters and ranching outposts, taking the form of blonde houses of local lenga wood topped with shimmering corrugated roofs. 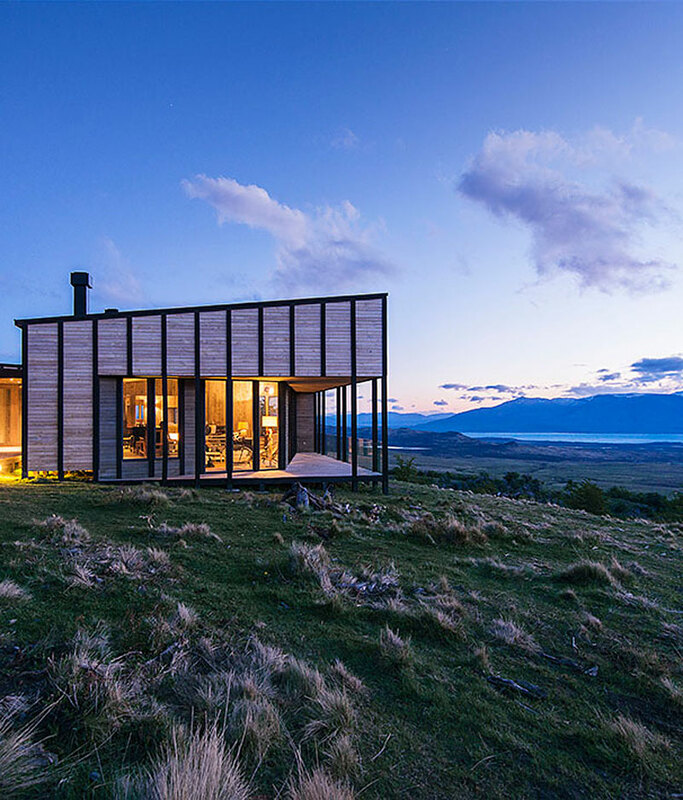 Stilted to minimise their environmental impact, the simple structures hide a wealth of luxury within – kingsize beds, sheepskin-topped sofas, logs stacked by woodburners. 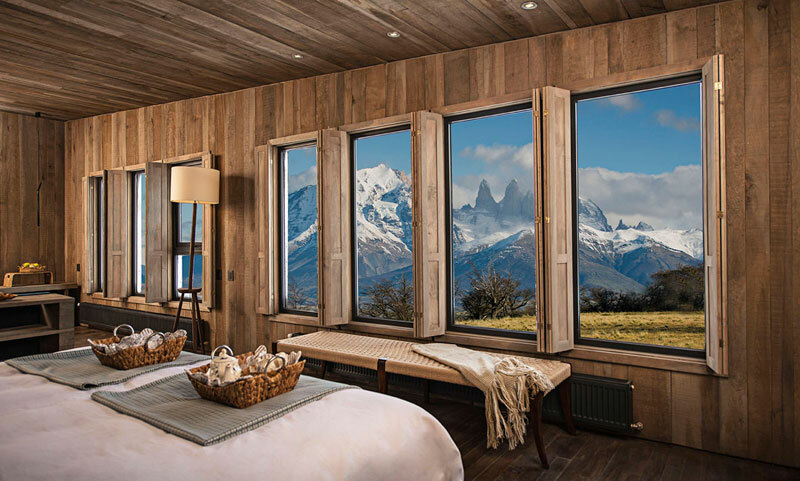 Each has also been carefully positioned to combine maximum privacy with optimum views over the famous peaks of the Torres del Paine National Park. 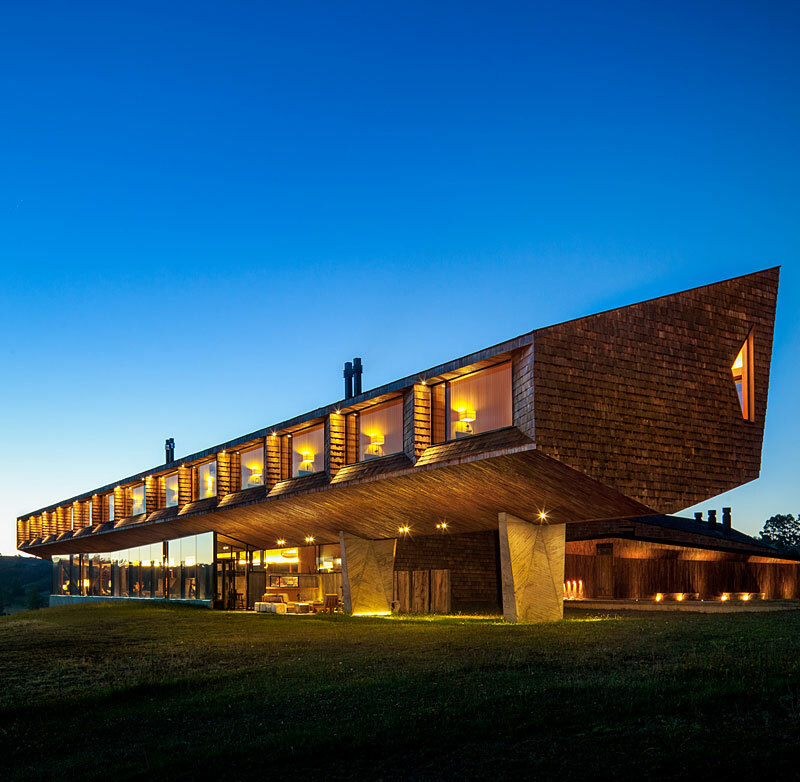 Built with locally sourced materials by local workers, Remota proves that modern architecture and sustainability need not be mutually exclusive. 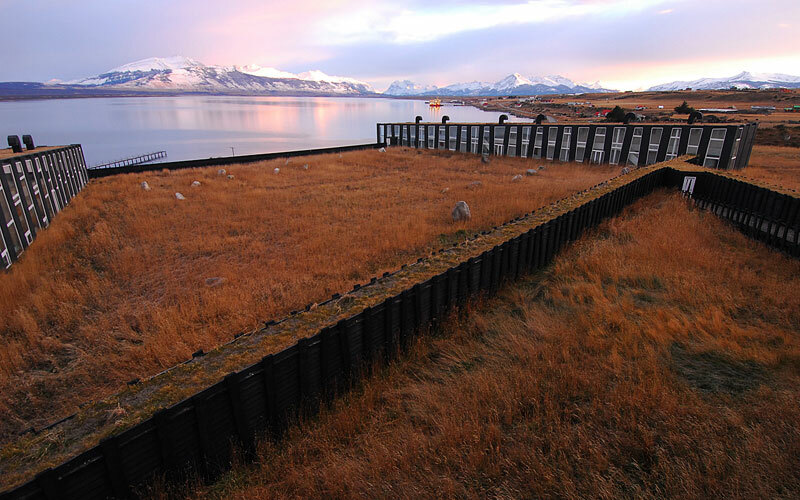 Its long black sheds snake across the grass, broken only by a warming glow from irregular trapezoid windows. 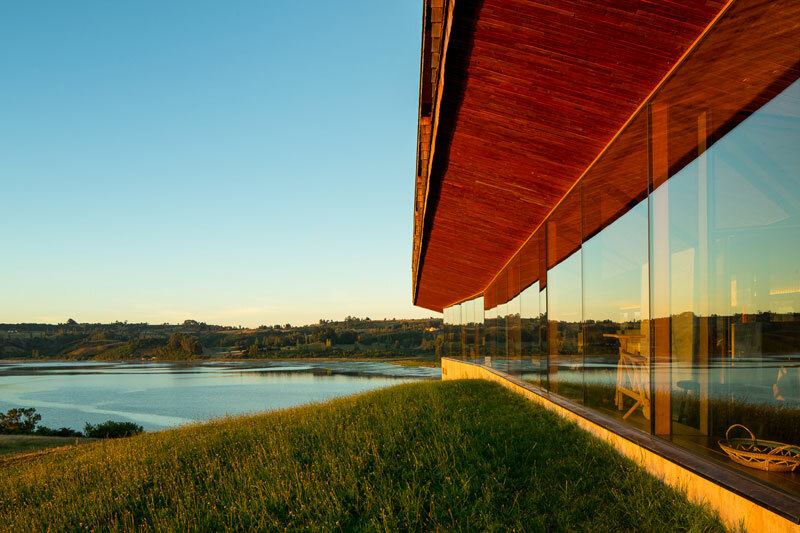 A grass roof adds camouflage, helping to minimise the visual impact; inside, floor-to-ceiling glass brings in vast views of sky, water and distant mountains. 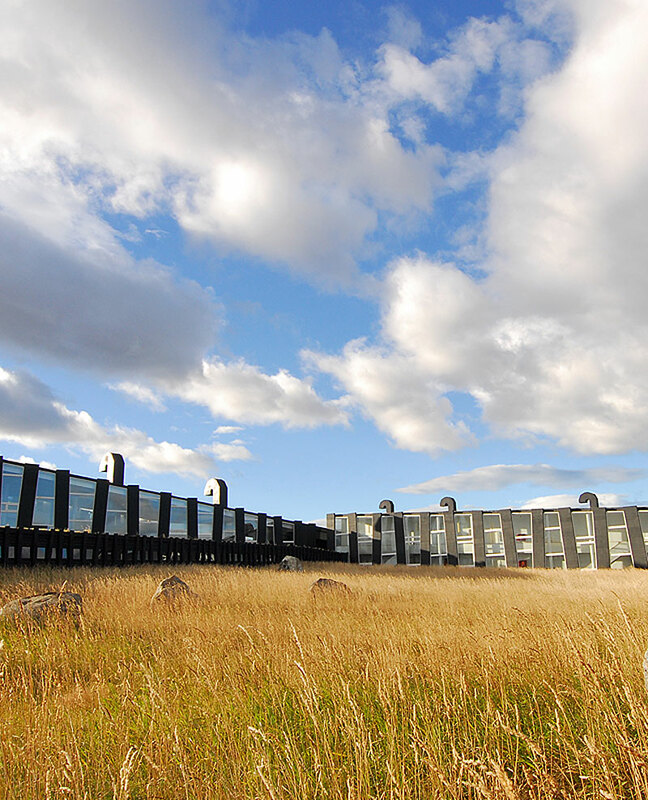 Sitting at a crossroads between the Torres del Paine, Patagonia’s fjords and the region’s native forests, it’s little wonder that the hotel’s focus is firmly on the great outdoors. 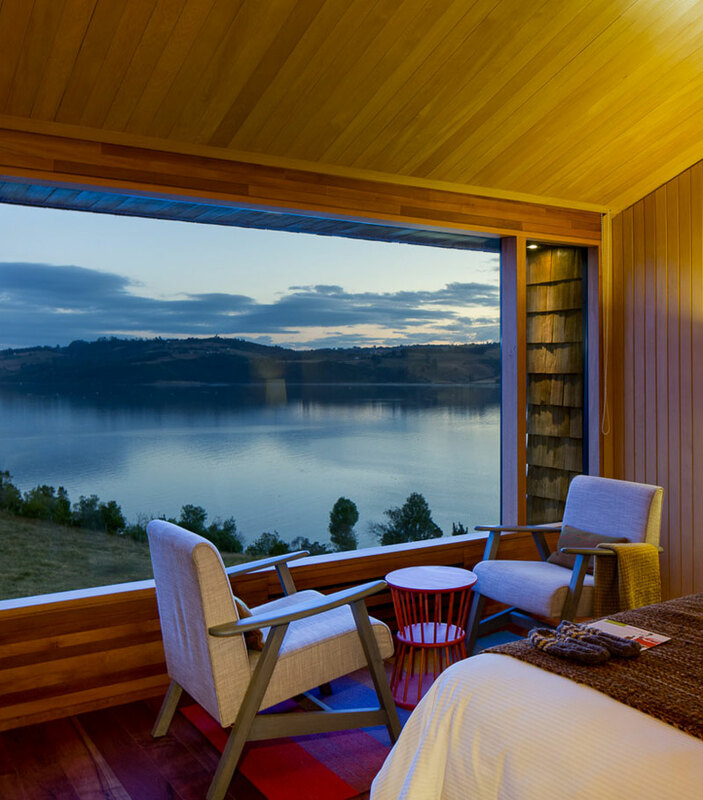 The residents of remote Chiloe Island are predominantly self-sufficient, catching their own food, making their own textiles and residing in stilted overwater homes. 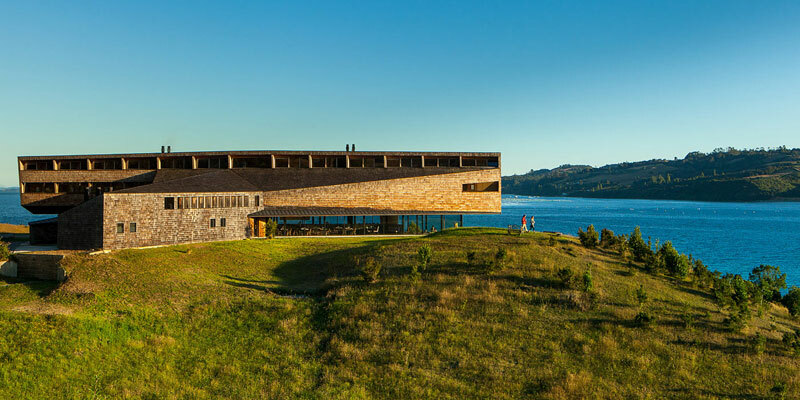 Built in 2012, Tierra Chiloe’s conceptual structure was designed to mimic these distinctive dwellings, appearing to float above the quiet peninsula on which it sits. 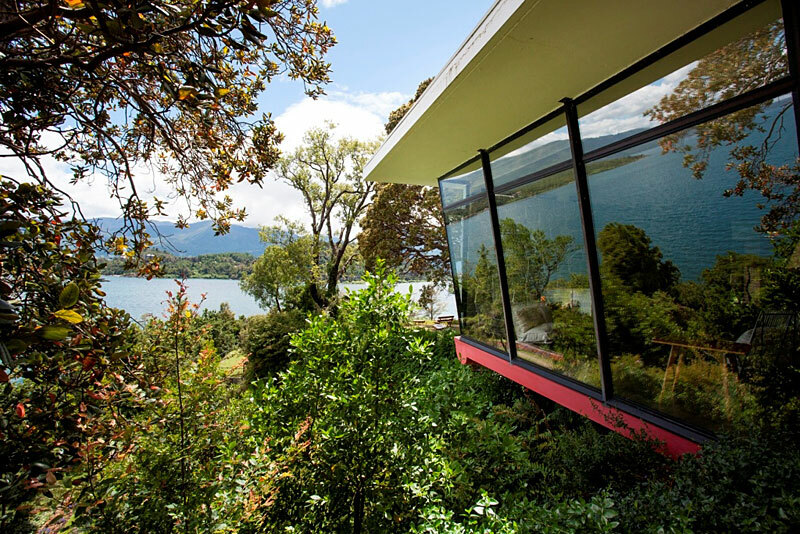 Indigenous conifer, beech and larch woods were used inside and out, warming the cutting-edge sheet-glass windows and industrial steel framework. 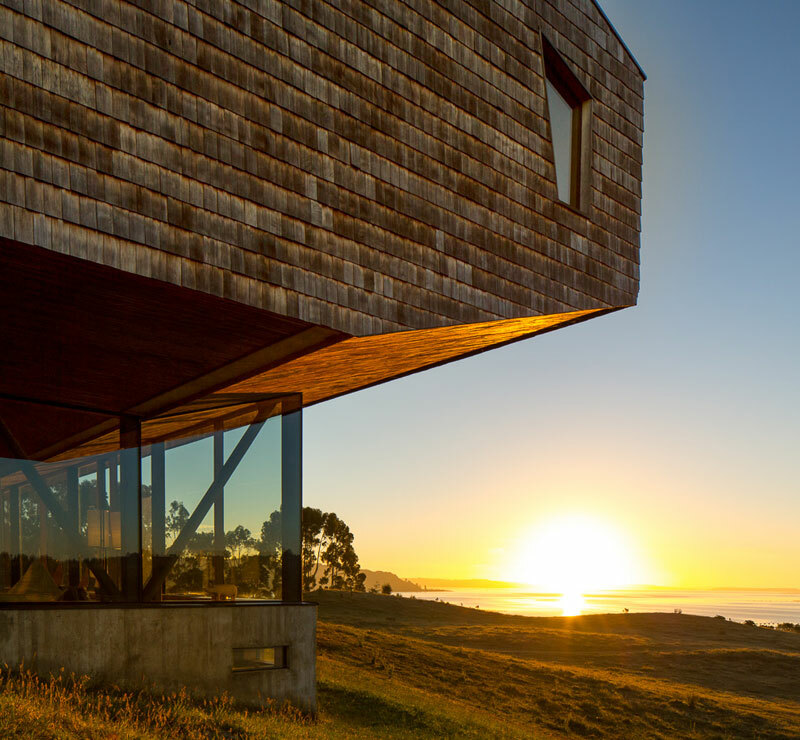 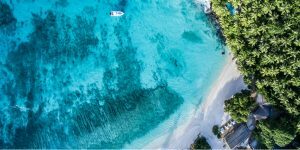 Happily, the building also takes every opportunity to frame the expansive views of the surrounding bay, where guests can take boat trips to view rugged landscapes, see local fishermen at work and spot wildlife such as sea lions, dolphins, penguins and whales. 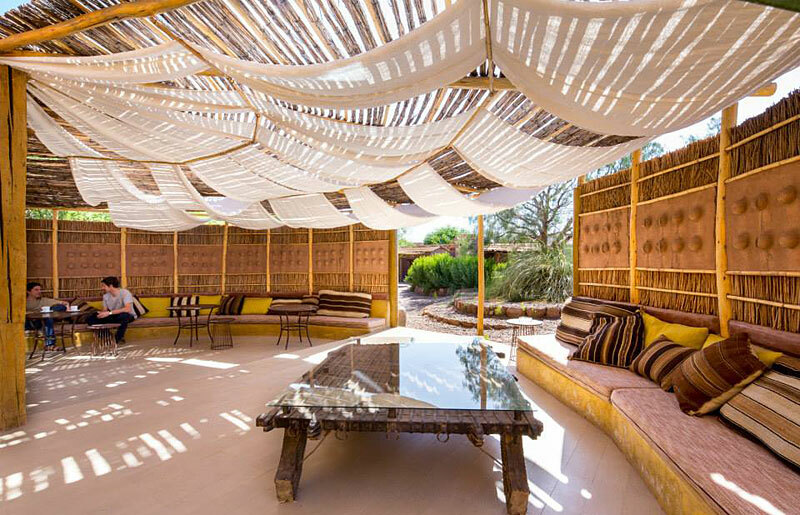 How do you build a hotel beside one of the driest places on Earth? 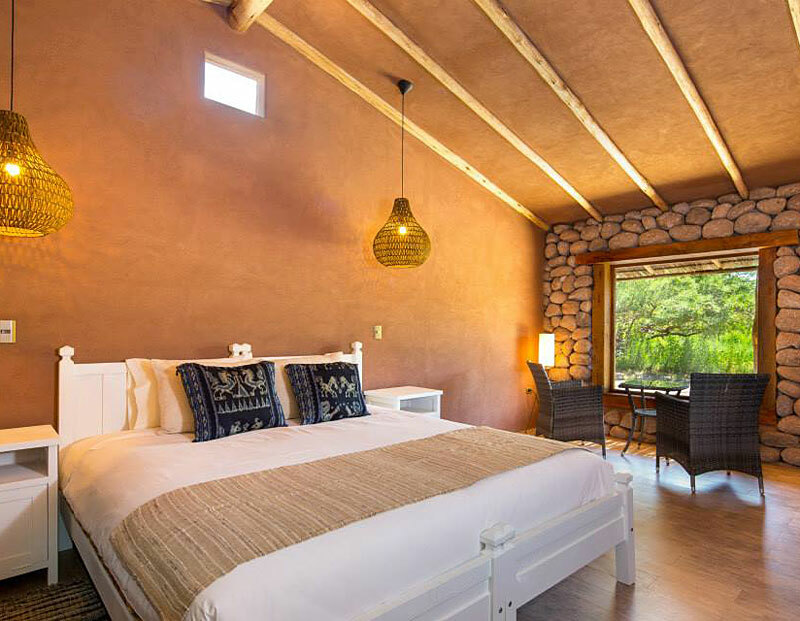 The team behind Hotel Altiplanico, which sits in the dramatic middle-ground between the Andes and the bone-dry Atacama Desert, were faced with just that dilemma. 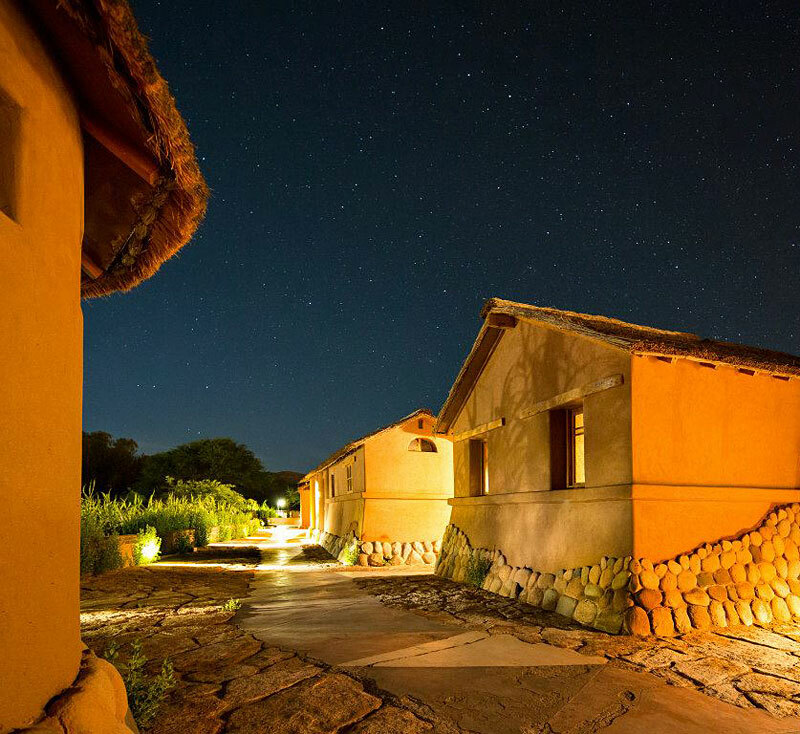 Rather than fighting the arid surroundings, they decided to work with them, employing ancient materials such as earth-red adobe bricks and simple straw roofs to create a cluster of casitas. 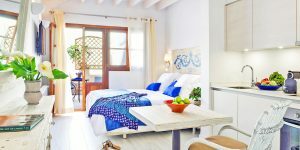 Today it feels more like a traditional village than a hotel, and is framed by fields of purple alfalfa buzzing with iridescent dragonflies. 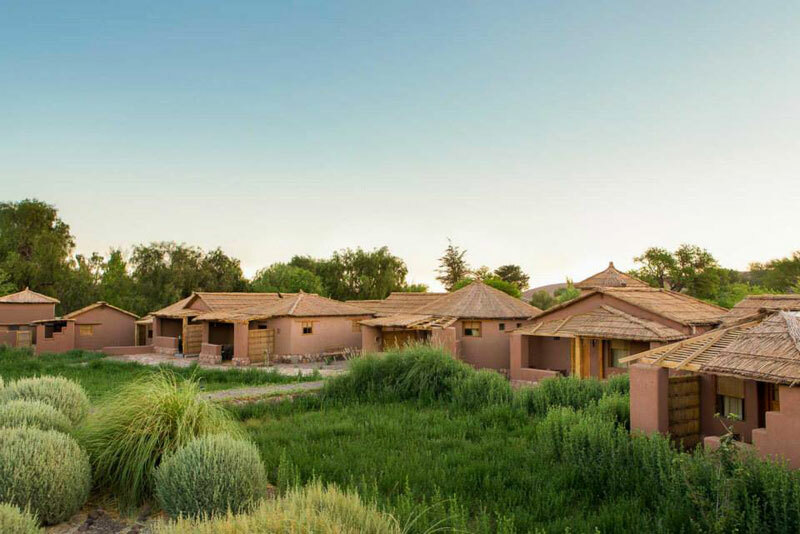 A lagoon-style pool quenches the parched landscape and makes a relaxing retreat from the popular nearby town of San Pedro de Atacama. 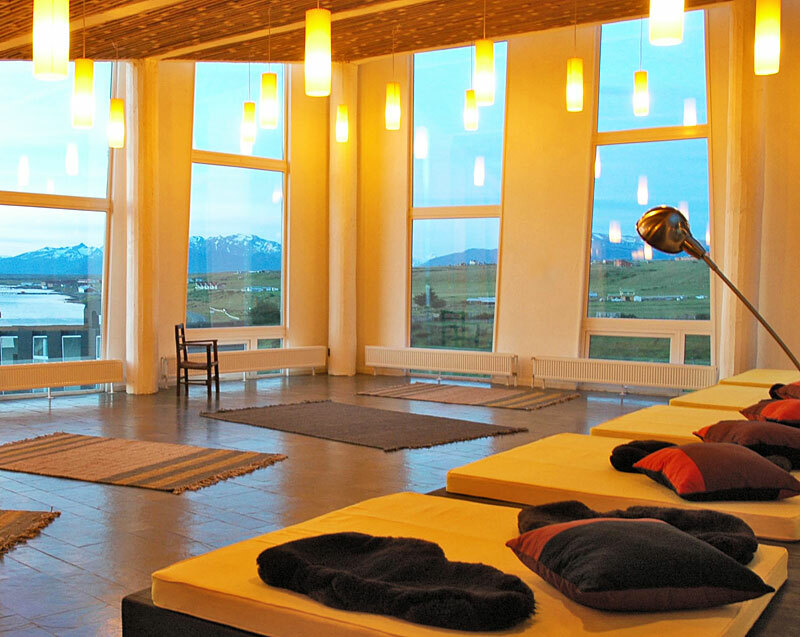 Check out our full collection of boutique hotels in Chile.